I had a sudden loss of hearing after a Traumatic Brain Injury. I had a severe traumatic brain injury with brain hemorrhage August 2017. I remember nothing of the four days in the hospital or the three weeks after that. One of the results of the injury was that my hearing was impaired significantly. However at that point I could get by. BUT more alarmingly, on April 2018, my hearing suddenly started dropping PRECIPITOUSLY. Seven weeks later, many areas had dropped by 35-40 Decibels. And it kept dropping, fast. Some frequencies I did still have 55% hearing. The worst areas I had only 20% hearing. But the surgery may not increase the hearing, and can cause total deafness. He urged me to try several complimentary modalities for 3-6 months to reduce the residual pressure/inflammation from the head injury, and to resolve contributing factors. 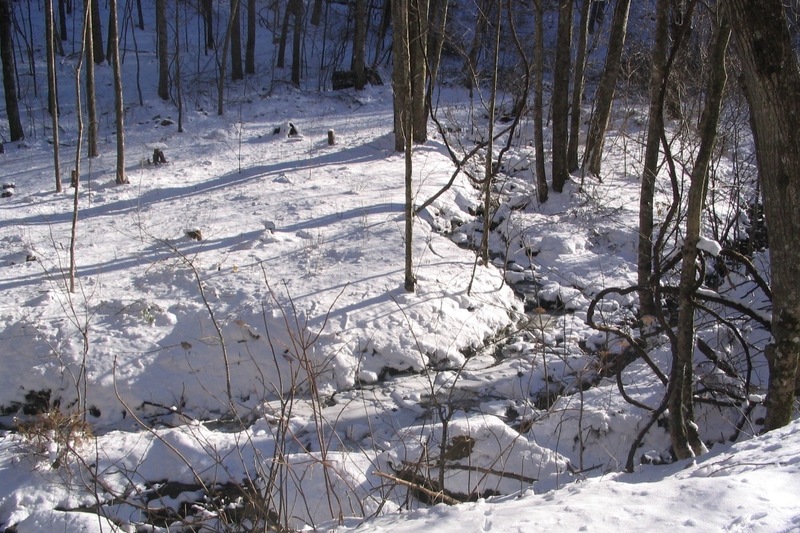 By June 4, I could no longer hear the creek that runs below my house and I could barely hear the harp. The bass was inaudible and the rest muffled. Some notes sounded as much as 7 notes higher than they really were, and if I tried to play, I got dizzy and nauseated. The medical term for this is diplacusis. The silence was profound. 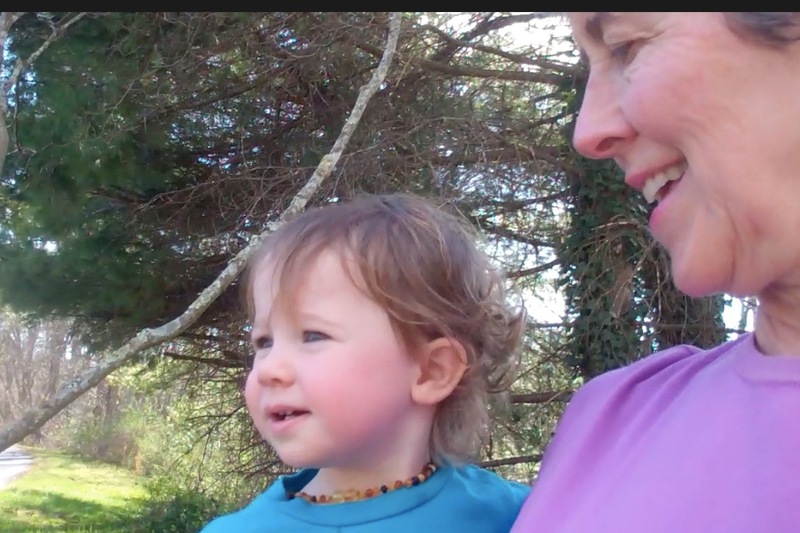 I needed to get within inches of my grand daughter's face to hear her. Telephone conversations were impossible. 1. Acupuncture performed only by licensed practitioners who are 4-year graduates of Chinese Medicine/Acupuncture school. Twice weekly. 2. Functional Neurology chiropractor (13 years of post-medical school training). (To address the neurological components and also damage to 8th cranial nerve from the head injury). Four times weekly. 3. Lymphatic Drainage Massage (to reduce pressure and inflammation). Once weekly. 4. Huge amounts of Curcurmin, (which acts similar to prednisone but with no side effects). Together these are costing around $2,800 per month. These have NO risk of making me go deaf, like the surgery. And so far, they are producing the first positive results I've had. There are lots of ups and downs, but real progress. Already these modalities have stopped my hearing from dropping any further. There is even improvement. 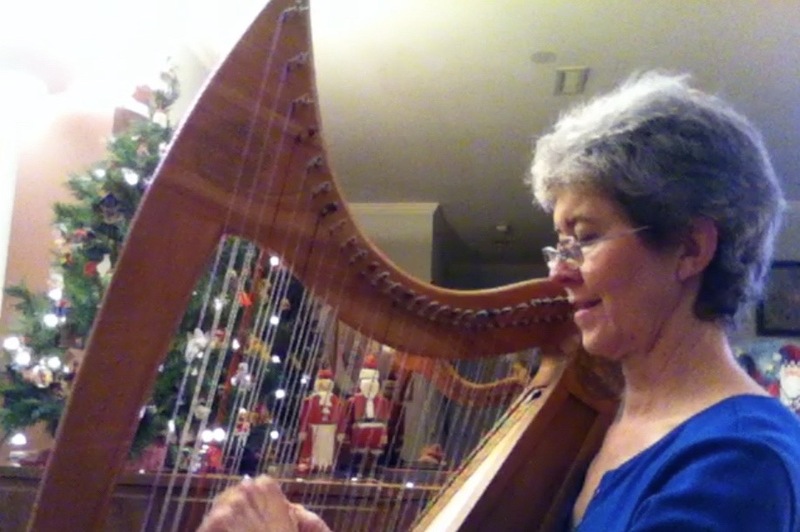 I can now sometimes hear the harp enough for it to be beautiful, without nauseating distortion. Then I had two days of scary setback, but rebounded. I can often understand a phone conversation. And listen to the radio and make out much of what is said. Understand my grand daughter some. This is all progress. I want to hear again. I love the harp. I love writing beautiful music. And most of all, I LOVE helping people by teaching, making free videos for YouTube. It's fulfilling to encourage folks and see them grow. "People need to know your contribution not only to the harp world... but to the double strung harp world in particular. The MANY free videos you have done... the time you have spent helping develop and promote the double strung harp so it is heard and appreciated out in the world... and the countless hours you spend developing music to take full advantage of the double strung's amazing capabilities. I could go on and on and ON. 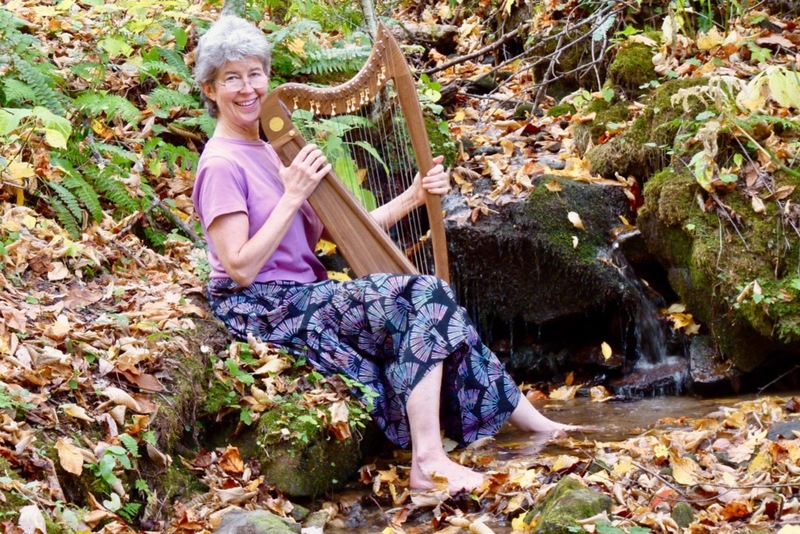 You have helped so many of us, with thousands of hours of your time you have donated to encourage us to embrace all harp, and this particular kind of harp even further. 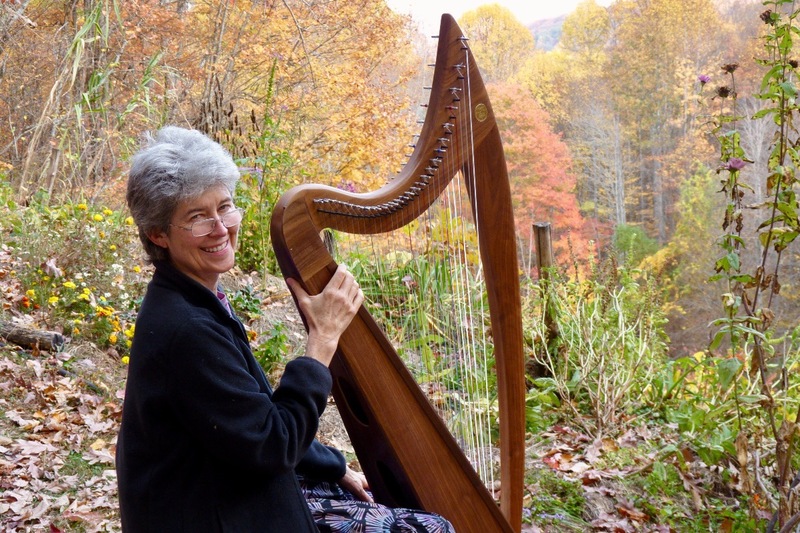 Using the double strung harp in health care is monumental and has changed the way I play in my work in hospitals." My goal has always been to make the world a better place. Now I realize how important sound is for that. I have ideas for at least 300 more free teaching tutorials that I want to record. My grand daughter needs me and I need to hear her sweet voice. 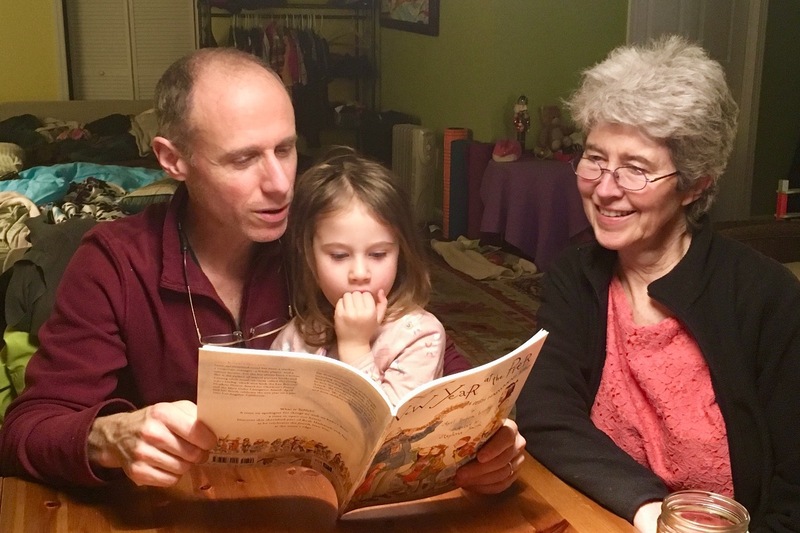 Laila and Grandma, together 20 hours a week! Four days in hospital after brain injury; CT scans. Local audiologists, ENT’s. Prednisone, antibiotics, fluid suction. Functional Neurology chiropractor. Prayer, visualization. Best hearing aids made (didn't work with this type of hearing loss - had to return them). Chinese medicine. Curcurmin (natural anti-inflammatory). Craniosacral therapy. Dr. MacElveen. I found out that I have Eustachian Tube Dysfunction which is causing a certain percentage of this hearing loss and may be corrected by an expensive medical procedure that is covered by insurance (my copay is only $1,400 if I pay everything up front to get the 25% discount.) January 18 is the big day!!! 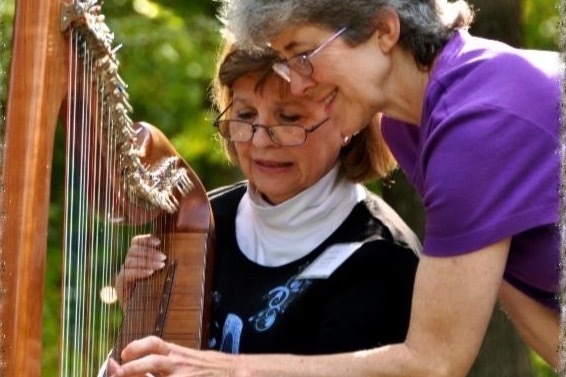 At the Southeastern Harp Weekend conference a few years ago. I have Nancy Beal to thank for getting me started with a “go-fund-me” campaign. And YOU all are giving me the FUNDS, and HOPE, to move forward. I am still incurring expenses but not digging too deep into my life savings yet. THAT's because of your wonderful help!! You guys are amazing. Nancy and I just re-organized the goal slightly to help me through the January operation without digging too hazardously into life savings. Your help will, I fervently hope, bring me back to our world of sound. I'll definitely send progress reports. We are all connected. Thank you and love to you all. April 22, I go for my follow up appointment for the procedure that opened up my eustachian tubes. I'm not out of the woods yet and may have lots of questions. When I am at high altitude, I have times where I can definitely hear better than I have in a year. I go "WOW, the harp can sound like this?" At lower altitude in Asheville it's not as good, and when I go into a home or office where I'm sensitive to something, I practically go deaf; everything is muffled and I have a really hard time with language. This is a sign that it is indeed eustachian tube related. And anything that causes inflammation is a hindrance. I don't understand it all yet, but I'll keep you updated. You guys have helped bring me a long way from not being able to hear much of anything, nauseated and sound-sensitive and no balance, to here where I am so much better in all those ways. Still a distance to go on the hearing. So I'm carrying on with hope and experimentation. And making tons of free videos for people to learn double strung harp. Thanks for all your love encouragement and help!! PS If you have 2 minutes you'll smile with this video of me playing "The Bird and the Bee." It's one of my compositions. Use headphones and you'll get to hear enjoy what a double strung Lorraine really sounds like. My hearing is improving!!!!!! As the inflammation from the procedure goes, the hearing gets better (most of the time.) They say it takes 3 months to get full results from the balloon operation . I’m taking TONS of the natural inflammatory Curcumin (from Turmeric) and that helps profoundly. And acupuncture has been a big breakthrough the last two times. The ENT who did the balloon surgery said that if I can get my masseter muscles (jaw) to relax it helps the eustachian tubes not have so much pressure on them. I told the acupuncturist and he "did" those muscles. (Acupuncture is great for releasing muscles.) I walked OUT of there hearing better both times. I still go practically deaf when I spend the night in a house or go into a place that has something I'm sensitive to (although I have no allergies, I have sensitivities) but it improves within a day once I am out of that environment. The ENT says that once my eustachian tubes are more open, this will not be so bad. The acupuncture has also helped profoundly with the after-effects of the severe head injury. My short term memory loss is turning into a brain that works again, the dangerous lack of balance seems gone, and my energy is way better. It helps things I've had for years. Now I'm obsessed with helping people at the harp! I could spend 24 hours a day doing it. Someone come wash my dishes, yikes! Before, my left ear might hear a “B” when I plucked a “C” string, and my right hear would hear it as “C.” Grating, to say the least, to hear two discordant sounds. Now, in most frequencies, I hear the same note in each ear. Wow, I forgot the harp sounds like this! No wonder everyone loves it. Thank your for the love, prayers, support in every way, as I’ve continued on this sometimes horrible, sometimes hopeful, and gradually succeeding journey towards hearing again. This part of the journey may take about 3 months to feel the full effects. More updates of course all the time. Stay warm! Yesterday i had the procedure to enlarge my sinuses and eustachian tubes! I could hear the bones crackling as the areas got “remodeled.” (They put a balloon in, and blew it up to gently widen the canal). I followed that with acupuncture in the afternoon. I'm sure it helped with the fact that although today I'm supposed to be massively inflamed, it's not actually that bad. Even with some inflammation, I’m not at the super-low-end of the hearing spectrum like last April. So I’m very hopeful! They say it takes 3 months to see the final result, but less for those with no allergies. That’s me, plus there are the natural things I do… so we’ll see! She had never touched harp before but was making beautiful tones and improv in the first half-hour with the guidance I gave her. Things that would have been impossible on a regular harp. I’m inspired now to make a short video series for TOTAL beginners: What the colored strings mean, how to place four fingers in a row, what a "third" is; the finger numbers; how to hold the harp at an angle, very EASY things to do to get soaring. Thank you ALL for your help on my path to hearing, and my path to helping more people. I will keep you updated.